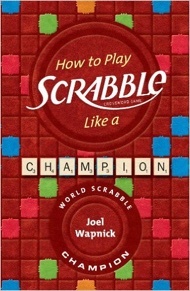 A large selection of books about the Scrabble Game is shown below. 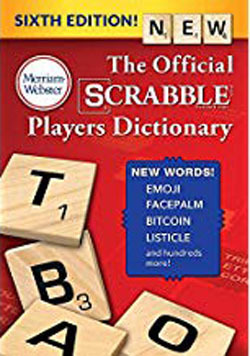 If you play Scrabble you need the Scrabble Players Dictionary. 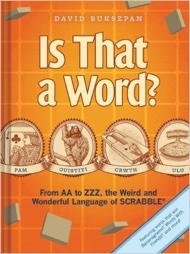 The book that millions of Scrabble players consider the only necessary resource. Ideal for recreational and school use. More than 100,000 playable two- to eight-letter words including many new entries. Includes variant spellings. 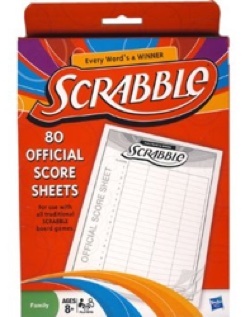 Endorsed by the National Scrabble Association. Stop losing and start winning immediately with the Ultimate Guide to Scrabble & Words With Friends. 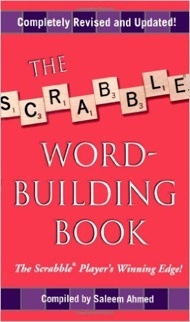 While it can't be denied that word knowledge is of great importance in Scrabble, even more imperative is knowing how to play the game, and that's what this book is all about. Written for players of all abilities, How to Play Scrabble Like a Champion includes key strategies, the ins and outs of tournament play, detailed analyses of eight games played by experts, and a presentation of 40 remarkable plays. From openings to endgames and everything in between, this is how you play Scrabble to increase both enjoyment and winning chances. A handy list of the 94 two-letter words sure to pile on the points. Over 800 three-letter words -- 550 of which can be formed from two-letter words.. All eight-letter words that can be formed from seven-letter words Every word up to seven letters you can play! ScrabbleÂ® aficionados may know that both "Brr" and "Brrr" are legitimate plays, but what about everyday names like Peter, Carl, and Marge? They're not listed as proper nouns, but they are certainly playable. For lovers of ScrabbleÂ®, BananagramsÂ®, and Words with FriendsÂ®, this lively guide helps readers make the most out of word games, packed with new ways to remember the best words alongside tips for improving game play and much more. Part strategy guide and part celebration of all things wordy, this collection of facts, tips, and surprising lists of playable words will instruct and delight the letterati. 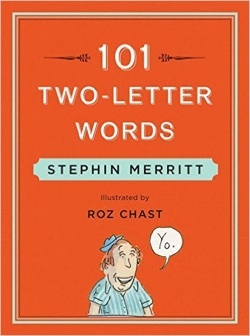 Rolling Stone has called singer-songwriter Stephin Merritt of the Magnetic Fields â€œthe Cole Porter of his generationâ€�; O, The Oprah Magazine has hailed cartoonist Roz Chast as â€œthe wryest pen since Dorothy Parkerâ€™s.â€� Together they have crafted a wonderfully witty book that is sure to prove useful to Scrabble players and Words With Friends addictsâ€•and to delight anyone in thrall to the weirder corners of the English language. Newly revised with updated new strategies and words, the classic how-to guide to one of the most popular board games of all time. 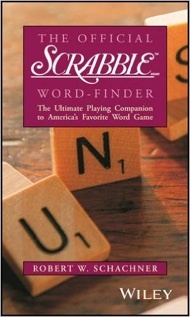 This all-new second edition of The Official Scrabble Brand Word-Finder is unique in its organization of officially accepted words, allowing the player to find the highest-scoring word in the shortest time. 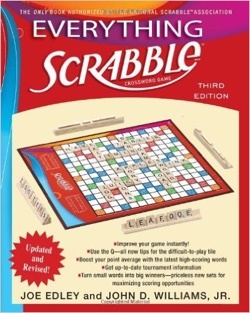 It reflects additions and deletions from the last three editions of The Official Scrabble Dictionary, and includes a complete list of two-letter words and three-letter words formed from two-letter words, as well as an invaluable and completely new section, "Ten Tips for a Better Game." © Copyright 2016. All Rights Reserved. Advanced Systems.